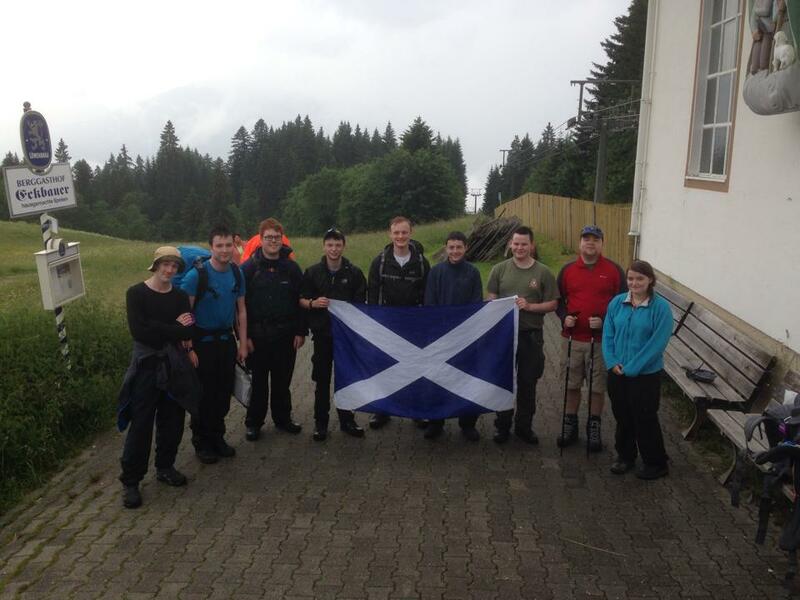 South East Scotland Wing cadets and staff have returned from a successful expedition in the German / Austrian Alps. 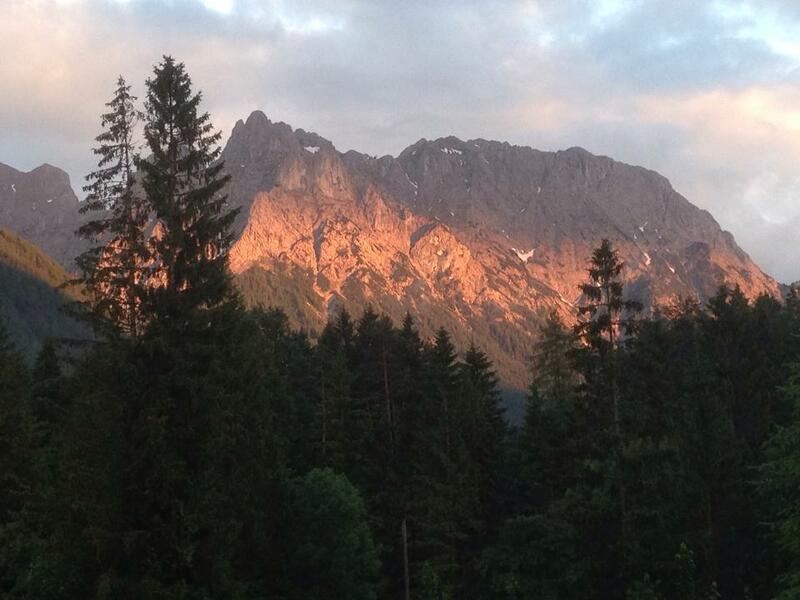 The expedition was based in Garmisch-Partenkirchen in Bavaria, Southern Germany over nine days. The ultimate goal of the expedition was to fulfil the requirements of their qualifying Gold Duke of Edinburgh Award Expedition which culmination of months of training which included practice expeditions in the highlands of Scotland. On arrival in Germany the team had a day of acclimatisation before departing on the four day expedition, which included temperatures above 30 degrees and thunder storms though with scenic views and visits through the Bavarian towns, villages and meadows with heights above 1000m. On their successful completion of the Gold Duke of Edinburgh Award expedition the team got involved in some local volunteering and helping the Alpine Mountaineering Club restore and maintain paths at 2385m. Replacing a hand rail and precariously mending a path at the top of the mountain with replacing rotten pieces of wood. 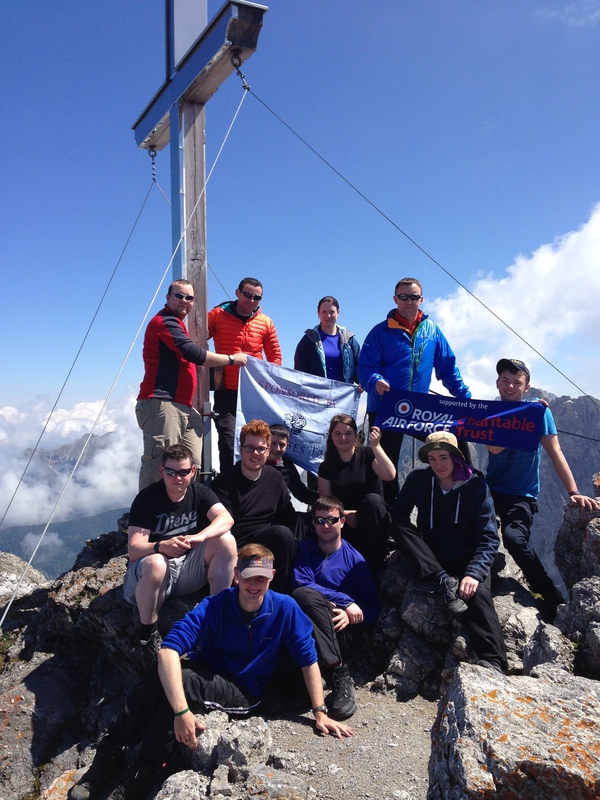 Visits were also made to Zugsptize at 2962m the highest mountain in Germany and also a high ropes course, which some of the cadets completing the hardest courses in the centre, and the local towns in the area including Garmisch-Partenkirchen and Mittenwald. The groups began walking from the Hostel past the winter Olympic stadium and into Partnachklamn gorge outside of Garmisch-Partenkirchen. From there they had to take a detour around a landslide to get to the town of Elmau. From Elmau they passed the lakes Farensee and Schmalensee to get to their campsite on the banks of the river Isar. The day was really hot but the scenery and landscape was the most beautiful we as a group had seen. From the Campsite the groups headed through some nearby meadows and onto the ‘jagersteig’ or ‘hunters trail’. They spent most of the day on this path in the 30 degree heat before arriving at their destination of Kreiner Koffler Hut where they spent the night. Turning their back on Kreiner Koffler Hutt the groups began the long walk back to Garmish-Partenkirchen following a path back to the Isarhorn Bruck campsite, where they once again spent the night. The groups had decided on a slightly easier route than the first day, following the high road through a forest before ending the day at a cable car station which they promptly took to get back to Garmish-Partenkirchen and the warm hostel beds. The cable car was very rickety and a scary experience for most of the group who were experiencing their first cable car experience. On their last day before departure to the UK they presented a presentation on how they met the purpose of the Gold DOE Expedition to the attending staff and representatives from the Haus der Athleten Youth Hostel, with Group 1 discussing the local tourism in the area and Group 2 the history of the area. The main challenges of the trip were of course the high temperatures in the region put together with 16-20kg rucksacks climbing up steep slopes. Also being totally self-sufficient with everything the cadets needed in their Expedition rug sacks added a bit more difficulty. The weather was quite unpredictable at times with a few thunder storms soaking the tents, right through to the inner extremities. The group were amazed by the beautiful scenery they hiked through with large mountains surrounding the area with beautiful lakes added into the picturesque scene. Exploring the local town, enjoying the local food and learning the local language was also a good insight into the German Culture for the group which the cadets will take back with them. 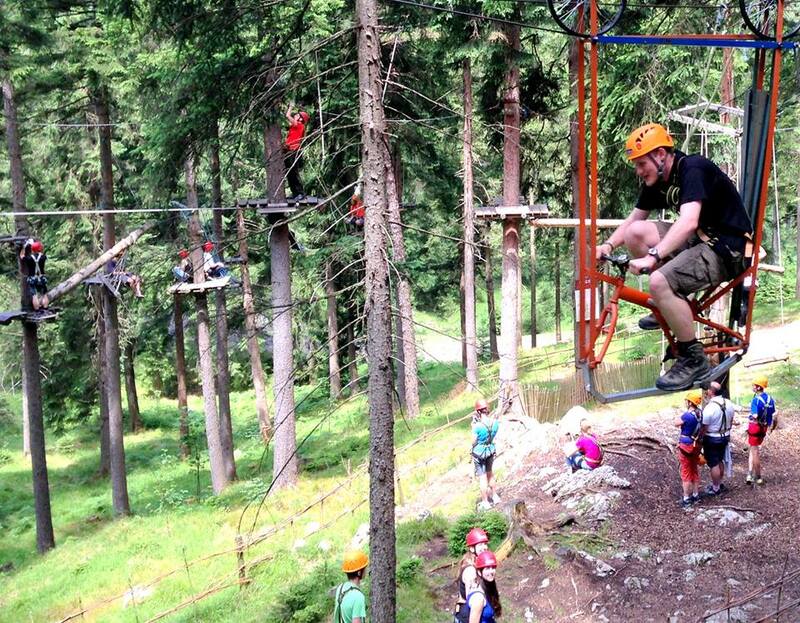 The group also bonded very well with a high ropes course added in for morale and enjoyment. The Expedition would like to thank the Ulysses Trust, Royal Air Force Charitable Trust and HQAC who supported the expedition. The expedition was supported by CI Paton, 870 Sqn and Flt Lt Paton, Deputy DOE Officer, South East Scotland Wing. Safety cover was provided Sqn Ldr Barry McAdam, Regional Adventure Training Technical Officer, Scotland & Northern Ireland Region and Plt Off Paton – OC 870 Sqn for organising the expedition.